Are you looking to buy the Branded Key Holder? Well, this deal for you. Pepperfry is selling Wall Shelf with Key Holder in Brown Finish by Home Sparkle at Rs 219. So, hurry up and buy it before the stock is out. 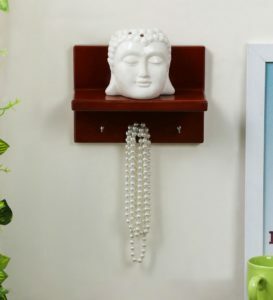 How to buy Wall Shelf with Key Holder in Brown Finish by Home Sparkle at Rs 219? 3. Log in or Sign up for your Pepperfry account.